(2) Paragraph (1) is subject to paragraph 1(a) of Schedule 4 (transitional provisions). (c) any one absence from the United Kingdom not exceeding twelve months for an important reason such as pregnancy and childbirth, serious illness, study or vocational training or an overseas posting. (3) But continuity of residence is broken if a person is removed from the United Kingdom under these Regulations. (iii)assures the Secretary of State, by means of a declaration, or by such equivalent means as the person may choose, that he has sufficient resources not to become a burden on the social assistance system of the United Kingdom during his period of residence. (b)the requirement for that person to have comprehensive sickness insurance cover in the United Kingdom shall only be satisfied if he and his family members have such cover. 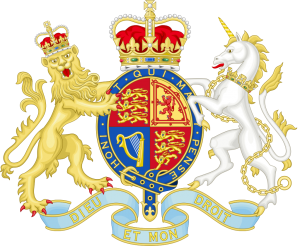 (3) For the purposes of paragraph (1)(d), where family members of the person concerned reside in the United Kingdom and their right to reside is dependent upon their being family members of that person, the requirement for that person to assure the Secretary of State that he has sufficient resources not to become a burden on the social assistance system of the United Kingdom during his period of residence shall only be satisfied if he assures the Secretary of State that his resources and those of the family members are sufficient to avoid him and the family members becoming such a burden. (b)paragraph (a) does not apply but, taking into account the personal situation of the person concerned and, where applicable, any family members, it appears to the decision maker that the resources of the person or persons concerned should be regarded as sufficient. (5) For the purpose of regulation 15A(2) references in this regulation to “family members” includes a “primary carer” as defined in regulation 15A(7). national who satisfies the conditions in paragraph (2), (3), (4) or (5). (c)resided in the United Kingdom continuously for more than three years prior to the termination. (ii)the incapacity is the result of an accident at work or an occupational disease that entitles him to a pension payable in full or in part by an institution in the United Kingdom. (b)prior to becoming so active in that EEA State, he had been continuously resident and continuously active as a worker or self-employed person in the United Kingdom for at least three years. (5) A person who satisfies the condition in paragraph (4)(a) but not the condition in paragraph (4)(b) shall, for the purposes of paragraphs (2) and (3), be treated as being active and resident in the United Kingdom during any period in which he is working or self-employed in the EEA State. (6) The conditions in paragraphs (2) and (3) as to length of residence and activity as a worker or self- employed person shall not apply in relation to a person whose spouse or civil partner is a British citizen. shall be treated as periods of activity as a worker or self-employed person, as the case may be. (d)he has voluntarily ceased working and embarked on vocational training that is related to his previous employment. (2A) A person to whom paragraph (2)(ba) applies may only retain worker status for a maximum of six months. (3) A person who is no longer in self-employment shall not cease to be treated as a self-employed person for the purpose of paragraph (1)(c) if he is temporarily unable to pursue his activity as a self – employed person as the result of an illness or accident. (4) For the purpose of paragraph (1)(a), a “jobseeker” is a person who satisfies conditions A, B and, where relevant, C.
(b)is present in the United Kingdom seeking employment, immediately after enjoying a right to reside pursuant to paragraph (1)(b) to (e) (disregarding any period during which worker status was retained pursuant to paragraph (2)(b) or (ba)). (6) Condition B is that the person can provide evidence that he is seeking employment and has a genuine chance of being engaged. (7) A person may not retain the status of a worker pursuant to paragraph (2)(b), or jobseeker pursuant to paragraph (1)(a), for longer than the relevant period unless he can provide compelling evidence that he is continuing to seek employment and has a genuine chance of being engaged. (b) in the case of a jobseeker, 91 days, minus the cumulative total of any days during which the person concerned previously enjoyed a right to reside as a jobseeker, not including any days prior to a continuous absence from the United Kingdom of at least 12 months. (b) condition B has effect as if “compelling” were inserted before “evidence”.”. 7A. (1) This regulation applies to an EEA national who was an accession State worker requiring registration on 30th April 2011 (‘an accession worker’). “legally working” has the same meaning as in regulation 2(7) of the Accession Regulations. (b)when the unemployment began on or after 1st May 2011. (b)became unable to work, became unemployed or ceased to work, as the case maybe, on or after 1st May 2011. (b)was a person to whom regulation 5(4) of the Accession Regulations applied. (b)the date on which the certificate is issued where it is issued after 30th April 2011. (b)from the date of registration stated on that certificate. (3) A person satisfies the condition in this paragraph if the person is a relative of an EEA national or his spouse or his civil partner and, on serious health grounds, strictly requires the personal care of the EEA national his spouse or his civil partner. (6) In these Regulations “relevant EEA national” means, in relation to an extended family member, the EEA national who is or whose spouse or civil partner is the relative of the extended family member for the purpose of paragraph (2), (3) or (4) or the EEA national who is the partner of the extended family member for the purpose of paragraph (5). (c)the centre of P’s life has transferred to the EEA State where P resided as a worker or self- employed person. (c)the degree of integration of P in the EEA State. (4) Where these Regulations apply to the family member of P, P is to be treated as holding a valid passport issued by an EEA State for the purpose of the application of regulation 13 to that family member. (1) In these Regulations, “family member who has retained the right of residence” means, subject to paragraph (8), a person who satisfies the conditions in paragraph (2), (3), (4) or (5). (c)he satisfies the condition in paragraph (6). (b)he was attending an educational course in the United Kingdom immediately before the qualified person or the EEA national with a permanent right of residence died or ceased to be a qualified person and continues to attend such a course. (iv)the continued right of residence in the United Kingdom of the person is warranted by particularly difficult circumstances, such as he or another family member having been a victim of domestic violence while the marriage or civil partnership was subsisting. (b)is the family member of a person who falls within paragraph (a). (7) In this regulation, “educational course” means a course within the scope of Article 12 of Council Regulation (EEC) No. 1612168 on freedom of movement for workers. (8) A person with a permanent right of residence under regulation 15 shall not become a family member who has retained the right of residence on the death or departure from the United Kingdom of the qualified person or the EEA national with a permanent right of residence or the termination of the marriage or civil partnership, as the case may be, and a family member who has retained the right of residence shall cease to have that status on acquiring a permanent right of residence under regulation 15.